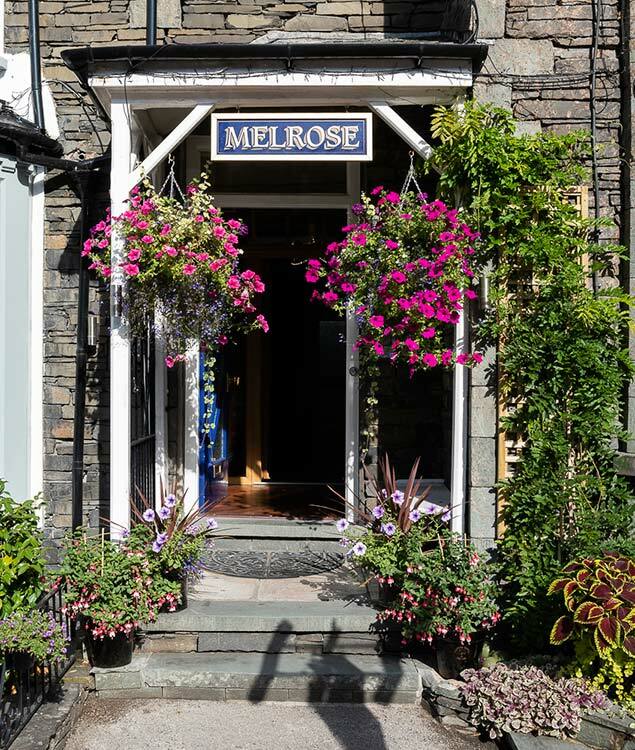 Melrose Guest House in Ambleside is an elegant Victorian bed and breakfast in the centre of Ambleside. 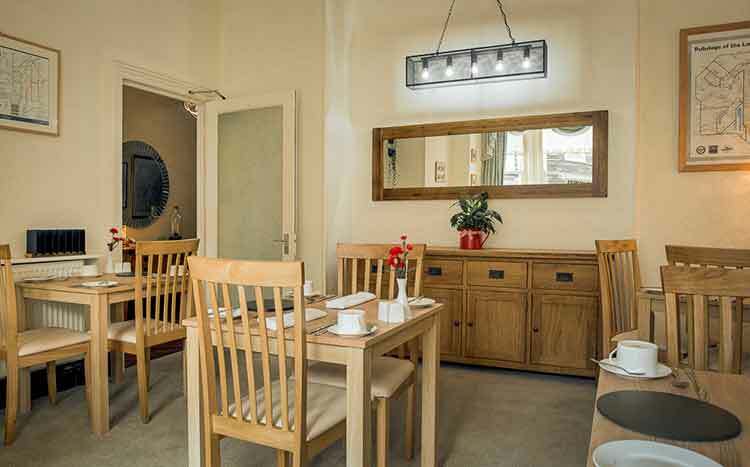 It is perfect for a weekend retreat, a mid-week break or a family holiday. The guest house is personally run by the owners, Jim and Monique Nelson, who will ensure your stay is a truly relaxing one. 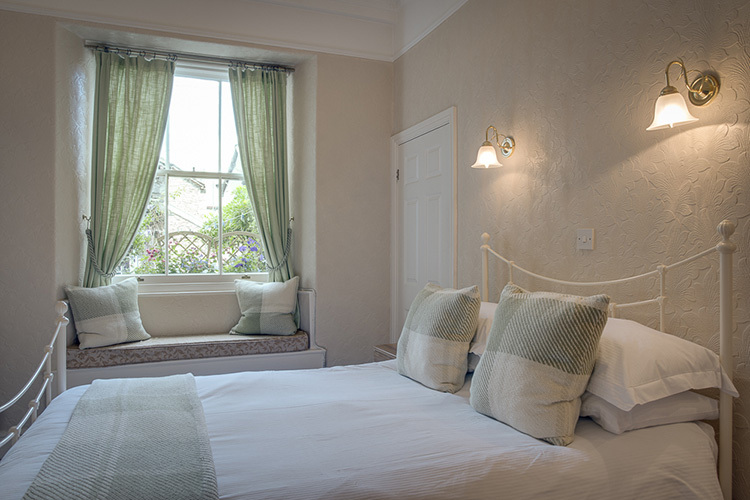 The house is furnished to an excellent standard, as identified by its four star, silver rating by Visit Britain. In addition, we have the Welcome Cyclists and the Welcome Walkers certifications. 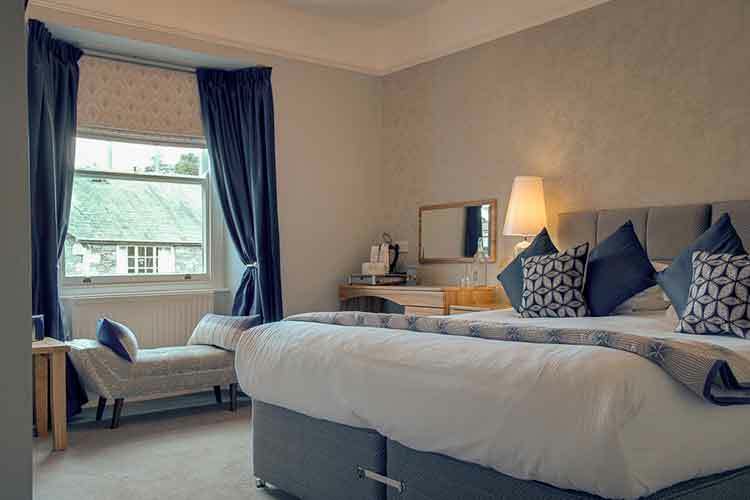 Melrose has eight spacious bedrooms over four floors, each furnished tastefully and individually. 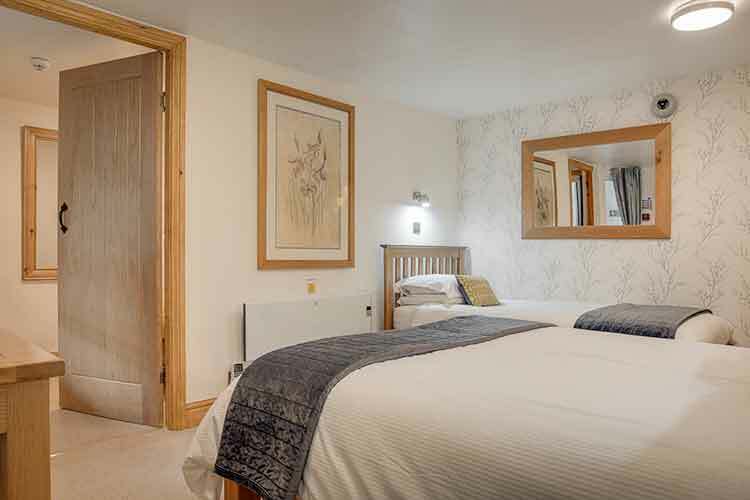 All rooms have en-suite facilities (the single room has a private shower room), also flat screen screen TVs, hair dryers, alarm clocks, wine glasses, boot trays and complimentary refreshment trays, complete with tea, coffee, sugar, milk and biscuits. All rooms have WiFi coverage. There are also fresh towels and complimentary toiletries. preserves and honey (and marmite on request) This is followed by a full Cumbrian breakfast or lighter alternative. We are open all year. 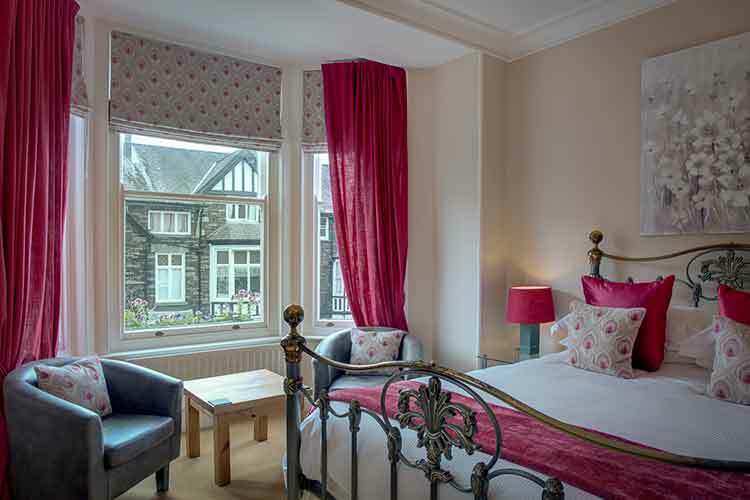 Terms are from £40 per person per night according to season. We are a no smoking establishment and we regret we do not allow pets.